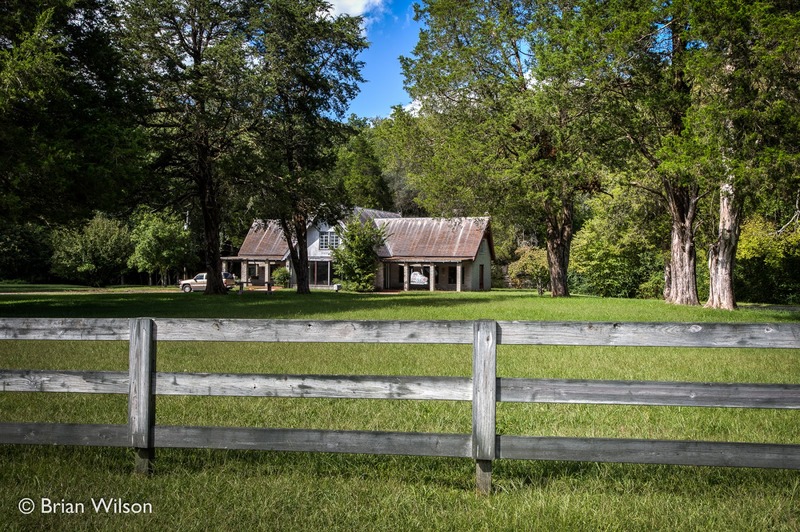 A beautiful fall day is a great opportunity to explore the Cumberland Plateau of Tennessee. 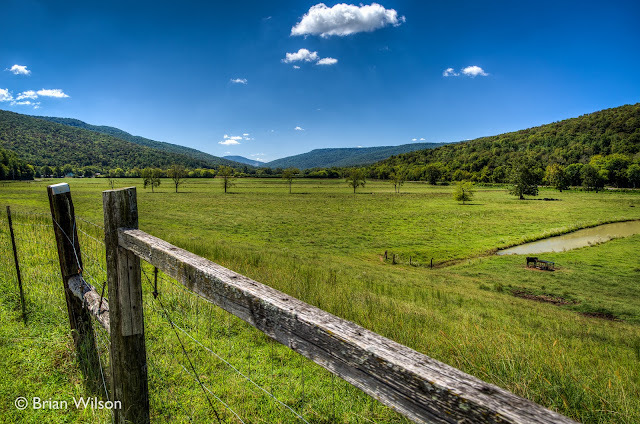 On this day we journeyed to the southern portion of the Plateau around the towns of Sewanee and Monteagle. The trees had yet to turn but the air was crisp and the skies were deep blue with nice fluffy clouds. Every direction you looked seemed like it would make for an awesome photograph. First stop was the Sewanee Natural Bridge which is located just south of Sewanee off State Route 56. There is a small parking area and a trail that descends down to the top of the bridge. The trail continues across the actual bridge and then descends further into a sinkhole. Note: While not particularly dangerous or strenuous, it is important to be careful as you cross the natural bridge and descend down in to the sinkhole. 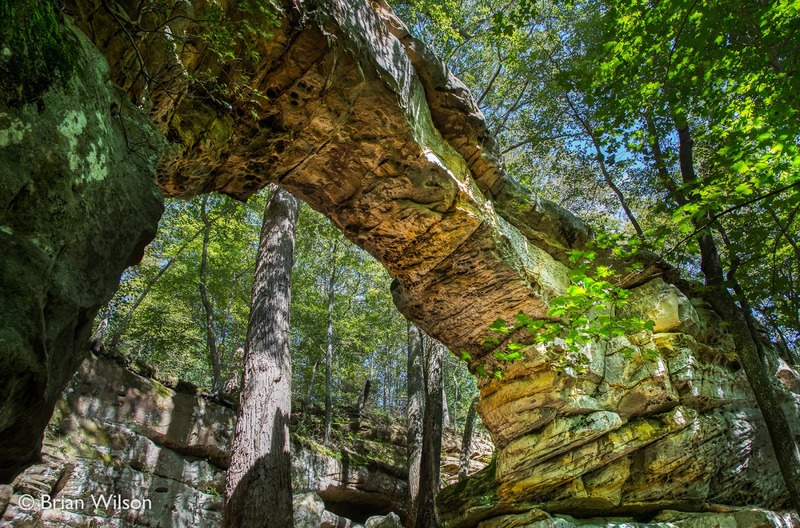 The natural bridge is 25 feet high and spans almost 50 feet. A wet spring found here is believed to have slowly eroded away the sinkhole and formed the natural bridge. If you go under the bridge there is a short trail you can take to further observe nature's work with towering cliffs on one side and large boulders to scramble over or walk in between. Along the trail you can see limited views down in to Lost Cove which lies just below the natural bridge. Lost Cove is home to Buggytop Cave which has one of the most impressive cave entrances in the state. 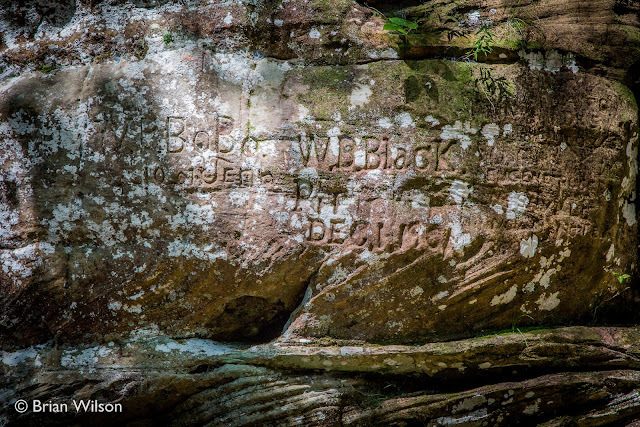 You can hike to Buggytop Cave by a trail that leaves the Carter State Natural Area just south of Sewanee Natural Bridge. 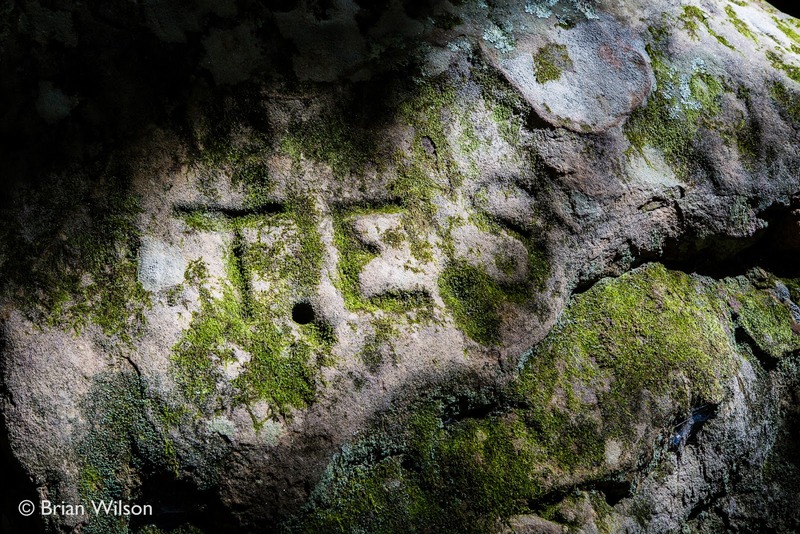 Found around the sinkhole are a number of carved signatures left by visitors long ago (some believed to have been left in the 1880s). 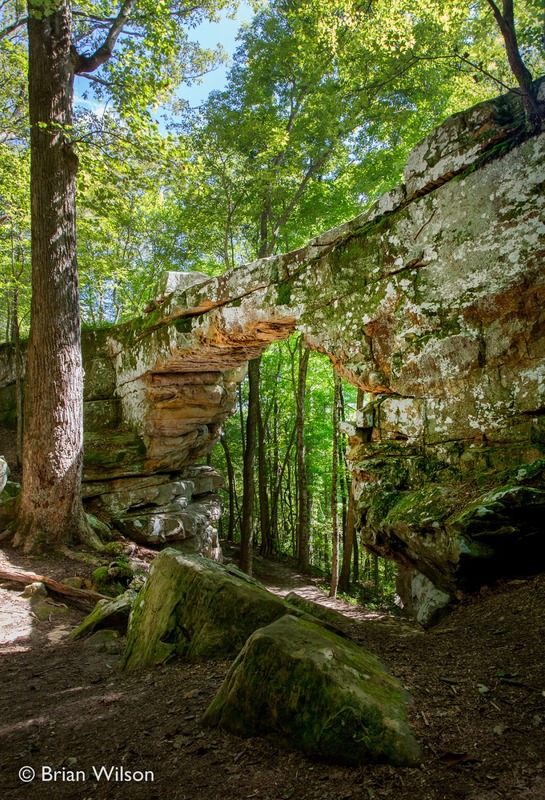 According to an article on nooga.com, a historian researched the names and did not find that they were locals, thus indicating the natural bridge probably served as a popular roadside attraction for a number of years. 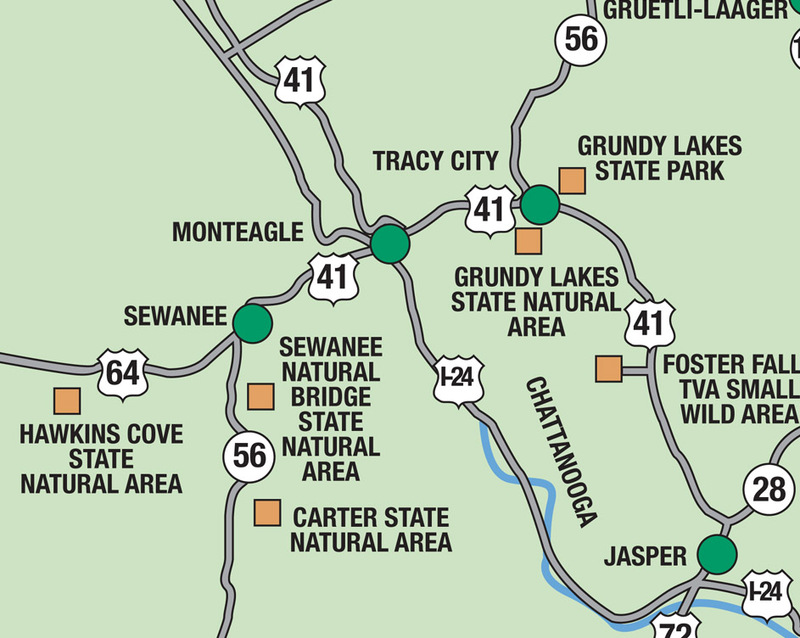 The natural bridge would have been a relatively short detour off of US 41A. The area does seem relatively free of modern vandalism. Sewanee Natural Bridge is part of a larger collection of parks called the South Cumberland Recreation Area. In this system you will find canyons, waterfalls, lakes and caves to explore. Savage Gulf is one part of this system and you can check out a post we made about it here. Grundy Lakes State Park is another part of this system which we also visited on this day. 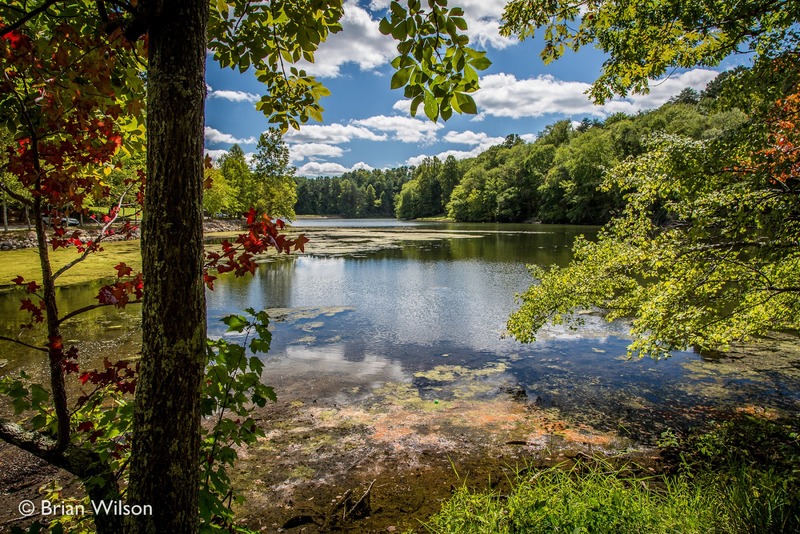 Near Tracy City, TN, you will find Grundy Lakes State Park. 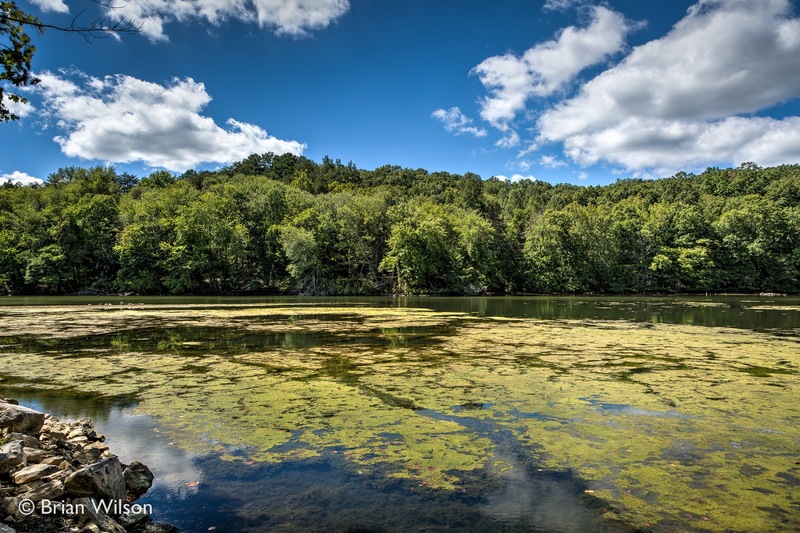 The area was devastated by coal mining and in the late 1930s the CCC (Civilian Conservation Corps) transformed the land in to what you see today complete with lakes, trails and trees. Almost of all of the natural beauty present here is thanks to the efforts of the CCC. There are a few hiking trails here including a nice loop around the lake. The park also offers access to the lake for swimming and fishing. 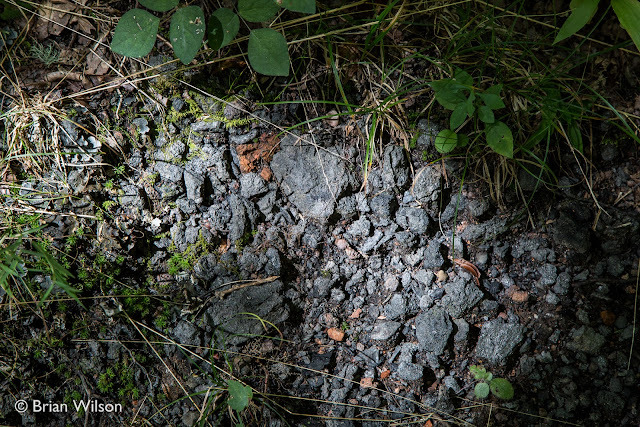 The remains of coal mining past are still seen all over the park as well. The most visible reminders are the 100+ coke ovens found along a number of the trails in the park. 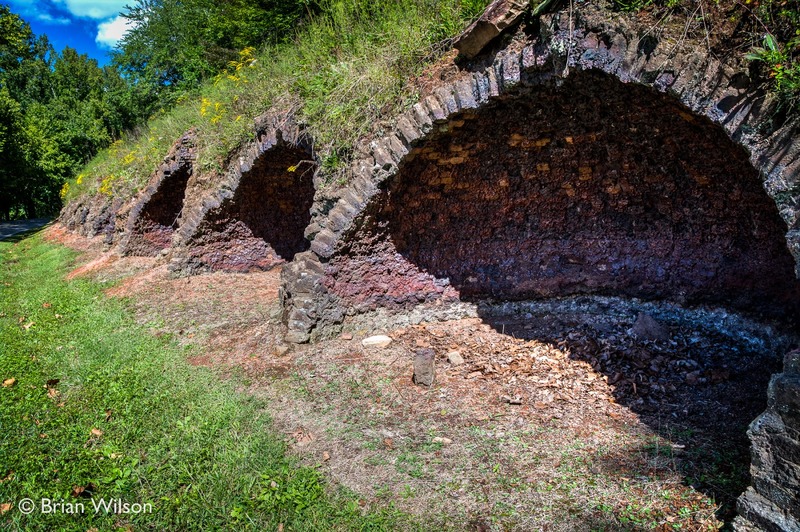 The coke ovens were used to convert coal in to industrial coke that could then be used as fuel for the smelting of iron ore. Note: The main trail tends to take you behind the coke ovens. The view from here is less impressive as the openings tend to be much smaller. In a few places it's possible to actually walk in front of the ovens to see them like in the picture above. Also, in many places you'll notice that the trail itself consists of coal. It makes for an interesting crunching sound as you walk over it. The Cumberland Plateau, while utterly beautiful, has been mined and clear-cut so often over the years that it's amazing there's anything of beauty left. Places like Grundy Lakes State Park remind us that beauty can be reclaimed from manmade devastation. In a future post we'll highlight a little bit more about some of the mining operations on the plateau. Finally, we decided to drive US 41 north to head back to Nashville. Doing this means taking a windy descent off the plateau. The road is particularly steep indicating the road was built before the more modern, and less steep, standards of today. At the foot of the plateau you'll find the old sign for Wonder Cave, a once popular tourist attraction that suffered with the advent of the interstate system. A few years ago Jessica wrote a little post about Wonder Cave and we decided to take a quick swing by the old building. The place is locked up so you can't explore the property nor see the cave, but it was good to finally see the grounds in person. 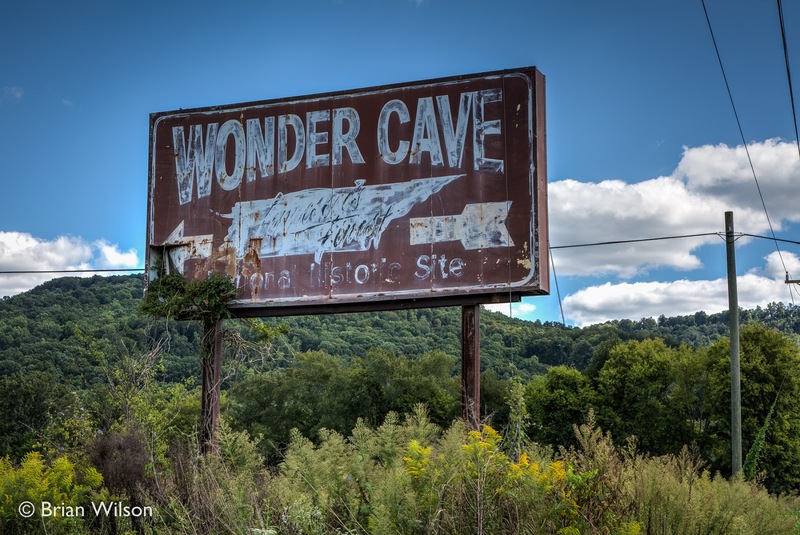 For years I have heard of Wonder Cave and while I've always had a deep fascination with caves, Wonder Cave is the only modern Tennessee commercial cave that I never got to visit. It would be great to one day explore the cave if it ever were to open back up. 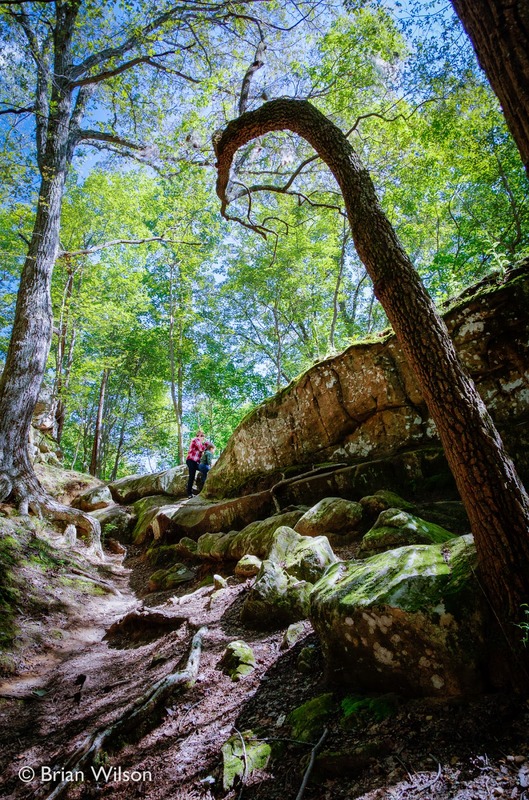 For more information about the South Cumberland State Park, including Sewanee Natural Bridge and Grundy Lakes State Park, check out their page here.